Prayers for Bohol and Cebu | Hello Saigon! Bohol and Cebu are two of the most beautiful islands in the Philippines. This morning a 7.2 earthquake hit the south of Philippines living at least 20 dead. The only lucky thing is that today is a holiday in solidarity with our Muslim brothers’ observance of Id-ul-Adha (Feast of the Sacrifice) — so a lot of people are mostly at home. Or else, the casualty would have been many. 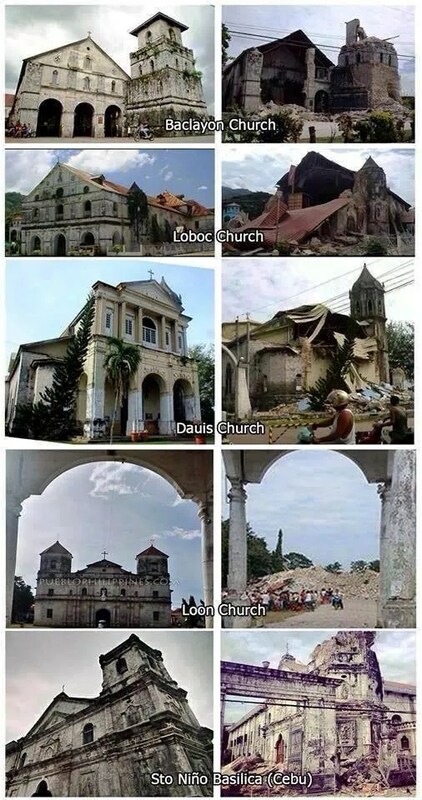 Our churches in Bohol and Cebu are the oldest in the country dating back in the 17th century and today, 5 of these beautiful churches lay in ruins. If my memory serves me right, I’ve visited all 5 of them. And this really breaks my heart. So much history turned into rubble. 😦 I have the fondest memory of the Loboc Church when we chanced upon the internationally renowned Loboc Children’s Choir practicing their songs. The angelic voices of the children literally moved me to tears. 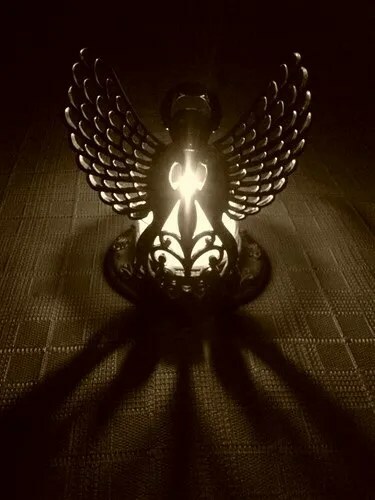 I ask the readers today to please say a prayer for those affected by this tragedy and those who are also affected by Typhoon Nari devastating Central Vietnam. Light a candle today. Leaving you with the voices of the Loboc Children’s Choir, “Light of a Million Mornings”. This entry was posted in Beyond Saigon, Spills and tagged Bohol, Cebu, Central Vietnam, Danang, earthquake, Loboc Children's Choir, Loboc Church, Philippines, typhoon. Bookmark the permalink. Sad story again, but Filipinos will get through this in no time. Wow! Where will they perform? Pingback: The Loboc Children’s Choir Visits Saigon | Hello Saigon!